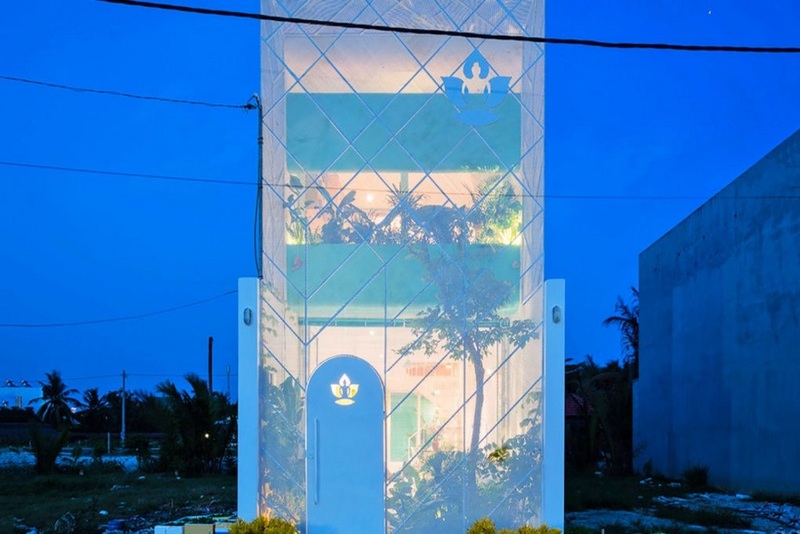 In Ho Chi Minh City in Vietnam, a local architecture firm named Human Architecture has designed a two-story translucent town house filled with greenery called the ‘Less Home’. The exterior was designed using white metal, allowing natural sunlight to fuel the plants. Not only do the plants provide the family with fresh air, but they also act as walls to give the family privacy from the outside. What’s more, the architects designed the town house with movable partitions so the residents can adjust the layout as they wish. Human Architecture created this project to show how urban housing and nature can blend together. A family of seven already lives in the home.